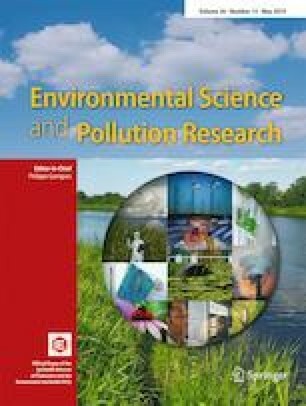 In this study, we analyzed the concentrations of metals in sediments and Corbicula fluminea in China’s Dongting Lake to assess the suitability of C. fluminea as an effective biomonitor of metal contamination in sediments and food safety. We analyzed the biota-accumulation capacity by calculating the biota-sediment accumulation factor (BSAF) and assessed the potential human health risk of metals exposure via consumption of C. fluminea using the target hazard quotient (THQ) and total target hazard quotient (TTHQ). The results showed that the average concentrations of As (31.93 mg kg−1), Cd (5.54 mg kg−1), Cr (105.50 mg kg−1), Cu (32.53 mg kg−1), and Zn (207.89 mg kg−1) in sediments were higher than their respective standard set by the General Administration of Quality Supervision, Inspection and Quarantine of the People’s Republic of China. The sediment metals, which were mainly anthropogenic in origin, were at high levels and pose a relatively high ecological risk. Cadium (Cd) showed very high potential ecological risk levels and should be included in the prior pollutants list in the studied area. The mean levels of As (0.81 mg kg−1) in C. fluminea were 1.62-times higher than that set by the National Health Commission of the People’s Republic of China. BSAF values of the soft tissues of C. fluminea were between 0.05 and 2.14, with higher values for Cu (2.14), Cd (1.77), Zn (1.60), and Ni (1.27). Soft tissues of C. fluminea were able to reflect spatial differences in Sr within sediments around Dongting Lake. The results indicated that C. fluminea could be an potential biomonitor for sediment metals assessment in biomonitoring programs, especially for Cu, Cd, Zn, Ni, and Sr. The mean values for THQ and TTHQ of all the analyzed metals were below 1.0, indicating that the intake of metals via comsumption of C. fluminea does not result in an appreciable risk to human health. The online version of this article ( https://doi.org/10.1007/s11356-019-04931-7) contains supplementary material, which is available to authorized users. This study was supported by the Special Fund for Agro-Scientific Research in the Public Interest of China (No. 201503108), Scientific Research Fund of Hunan Provincial Education Department (No. 17A099), and Hunan Provincial Key Research and Development Program (2017NK2290).